As Managing Director, Dennis is responsible for sourcing, underwriting and executing Insight’s office/R&D platform consisting of investment, renovation and ground-up developments as well as asset management operations. Insight’s predecessor entity, Insight Development Partners, was founded by Dennis in June of 2004 to take advantage of real estate opportunities in the Bay Area and Silicon Valley. Since founding Insight, Dennis has partnered with other firms to acquire or develop over one million square feet of office and R&D space in northern and southern California. 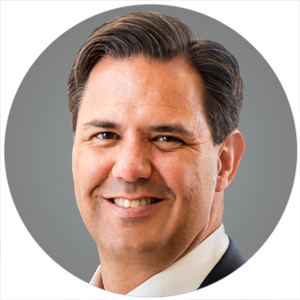 Prior to founding Insight Development Partners, Dennis was Senior Director of Real Estate Development overseeing the Silicon Valley Region for Opus Group, one of the largest development firms in the United States. During his tenure with Opus he developed one million square feet of “Class A” office, R&D and industrial properties and was awarded Employee of the Year in 2001. Dennis has over 25 years of experience in all aspects of real estate development, asset management, marketing, and leasing. Dennis’s career also includes tenures with Paragon Group, Cushman & Wakefield, and Prometheus Development. During his career he has acquired, entitled or developed over 2.5 million square feet of office, R&D and industrial projects and he has leased and/or sold over 3.5 million square feet a space with a total market value over $400 million.